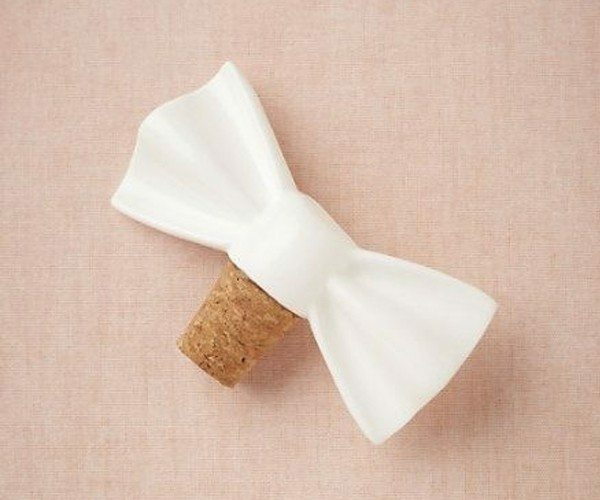 A crisp white bowtie is a dandy way to put a cork in it. 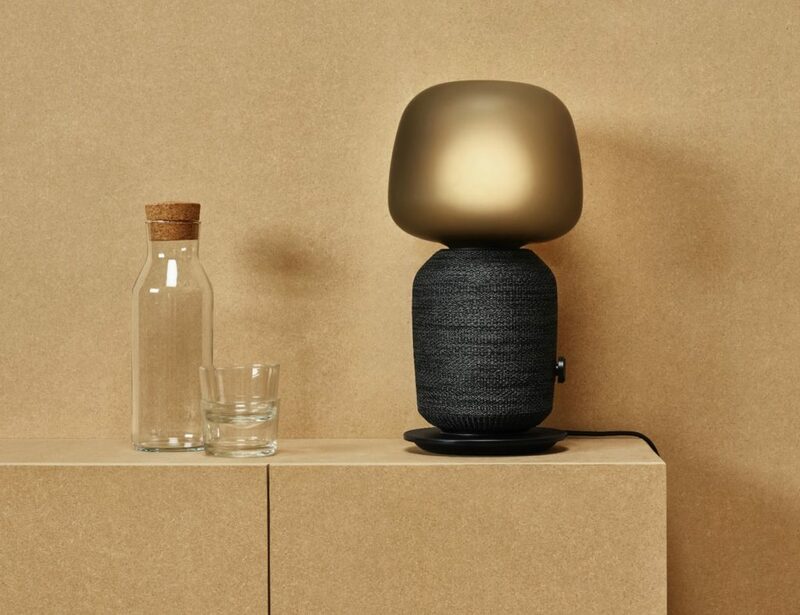 Stoneware, cork , Hand wash. 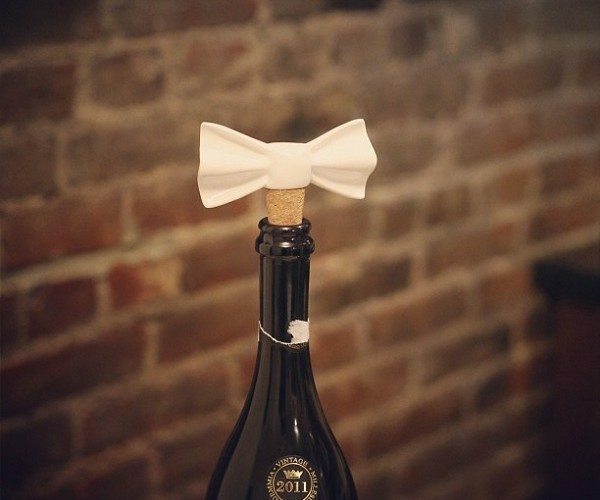 This Dapper Bottle Stopper is a mere $10.00, and a way to dress up your half drunk bottle of wine. 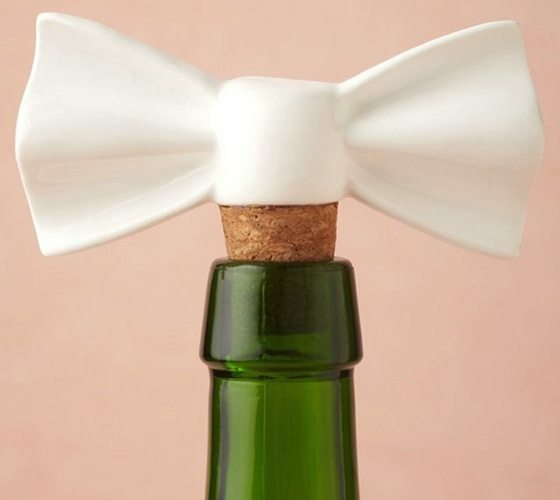 Made of cork and stoneware, use this bottle stopper when you’re hosting parties or on your own when you’re feeling girly. 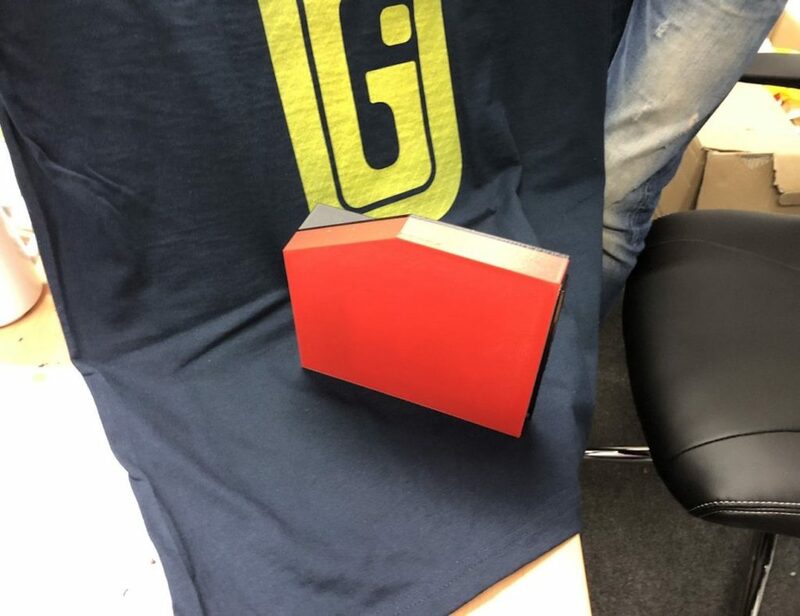 It could also work as a charming wedding gift! 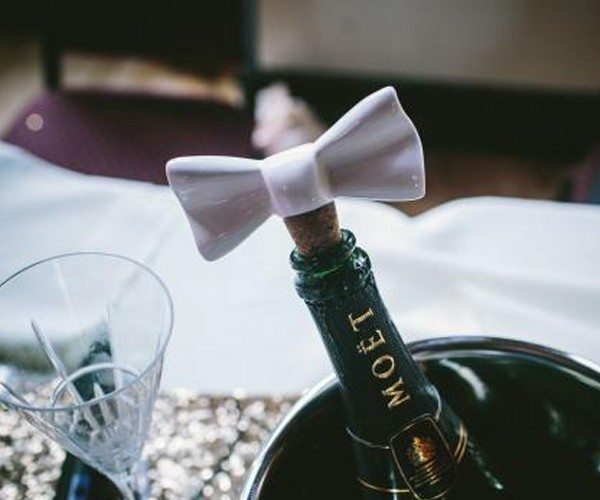 After all, a bowtie always looks classy, don’t you think?